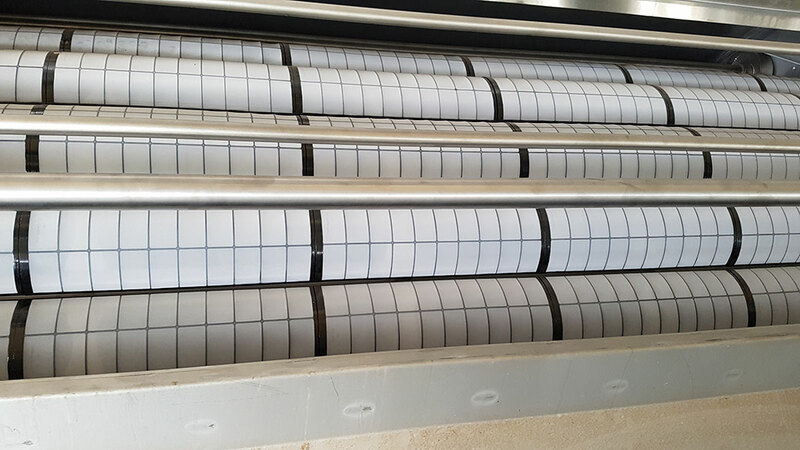 Microscreen filter is a drum filter and represents an ideal solution for the fine filtration of the clarified water after a DAF unit, the effluent from wastewater treatment plants as well as primary water. Unit is designed to minimize the energy and water consumption. 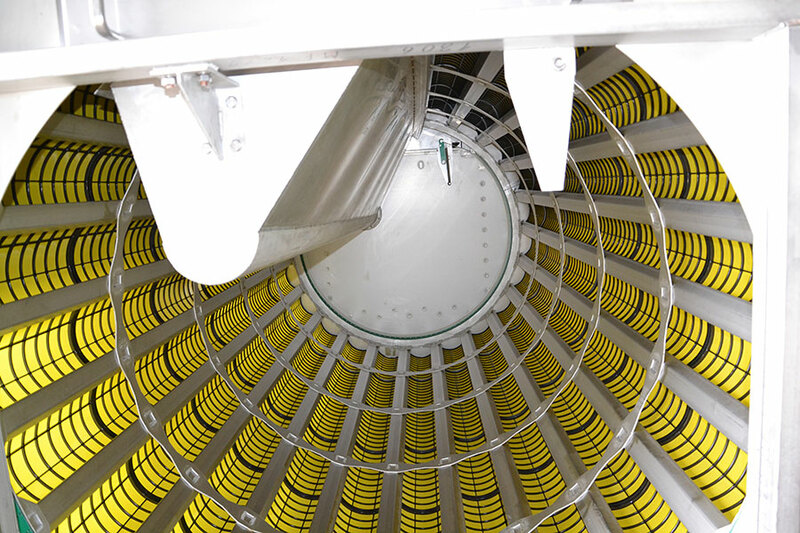 Water containing solid particles flows through the inlet pipe into the interior part of the filter drum. Impurities are caught on the inner side of the filter cloth and the filtered water flows out through the cloth. The entire filter remains off during this initial process. As the filter cloth slowly becomes clogged by the increasing amount of filtered waste, its resistance to the flow increases. The water level inside the filter drum increases accordingly. When the preset level is reached, the level probe located at the forefront of the filter automatically activates the rotating drum and simultaneously the rinsing pump which pumps the filtered water into the jet rinse system. When the level return to lower limit, the system stops the drum and the pump operation. The washing phase is using its already filtrate water. Filtrate water is discharged by gravity through an internal hopper. 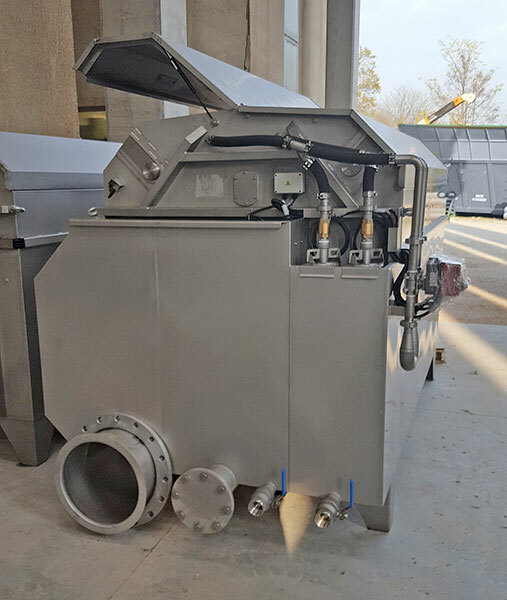 The unit is available in different construction versions for any installation requirements (complete steel construction or installation in a concrete channel). The concept is based on a uniform supporting cartridge with a variable filter cloth for all filter sizes. The filtration cartridge can be installed very quickly without any fastening elements or tools. 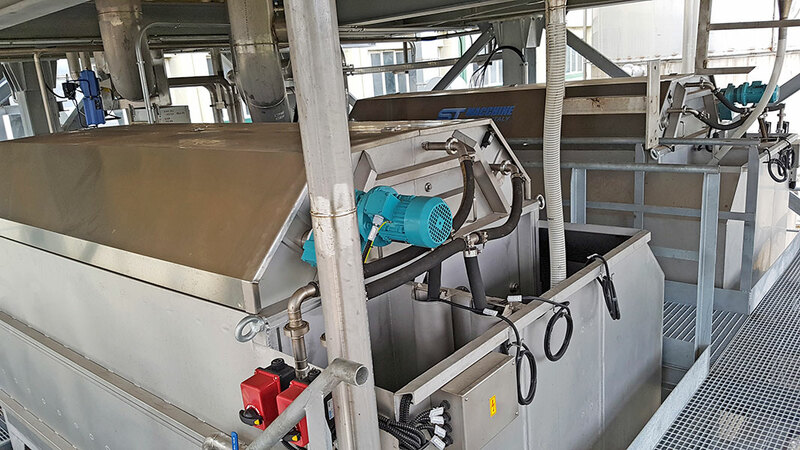 The automatic activation and deactivation of the filter reduce the amount of electricity needed for filter operation, increase the average quality of the filtered water, increase the density of the out flowing sludge and prolong the life span of the entire apparatus.